In 2003 Singleton church joined with the parish of St. Chad, Poulton and St. Hilda, Carleton. Our services are led by the clergy team, which includes the Vicar, Reverend Martin Keighley, who lives at the Vicarage in Poulton. Contact details can be found on our Contact Page, along with those of the churchwardens. Singleton Church of England School is situated on Church Road, Singleton and was originally built in 1863. 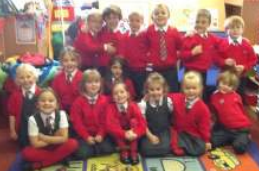 It now has approximately 100 pupils in four classes. In the most recent OFSTED inspection, the school was judged to be the best small Primary School in the whole country and ranked fifth for all Primary Schools. Further information can be obtained by contacting the school on 01253 882226 or visiting their website – www.singleton.lancs.sch.uk.